I was in my classroom, 2nd period, with about nine extra doughnuts on Fat Tuesday. As my students drooled, I knew I must give them away…but to whom? That was the big question. Luckily, I had an answer. A few years ago, after a fundraiser, I was left with a roll of unused raffle tickets in my desk drawer. And the rest is history. I use raffle tickets to this day for fair distribution of books (during lit circle book selection), to give away extra food, or to determine which member of a group will speak. I know there are digital means to accomplish these tasks; however, I find that an old fashioned roll of raffle tickets works best. There’s something about holding a ticket that contains a winning number. On top of that, kids that “lose” the raffle don’t really complain; they understand the unwritten rules of raffling. This got me thinking: what else would I tell young teachers that they need in their classrooms that they didn’t even know they needed? I reached out to my teaching buddies, and we compiled a list of must-haves for new (and old) teachers. I hope you enjoy and utilize the experience of the teachers featured here in the blog; this is a dope list; five this Sunday, five next Sunday. And if you were wondering how I picked these teachers to report their successes…I used raffle tickets! 1.) Raffle Tickets: see above. 2.) 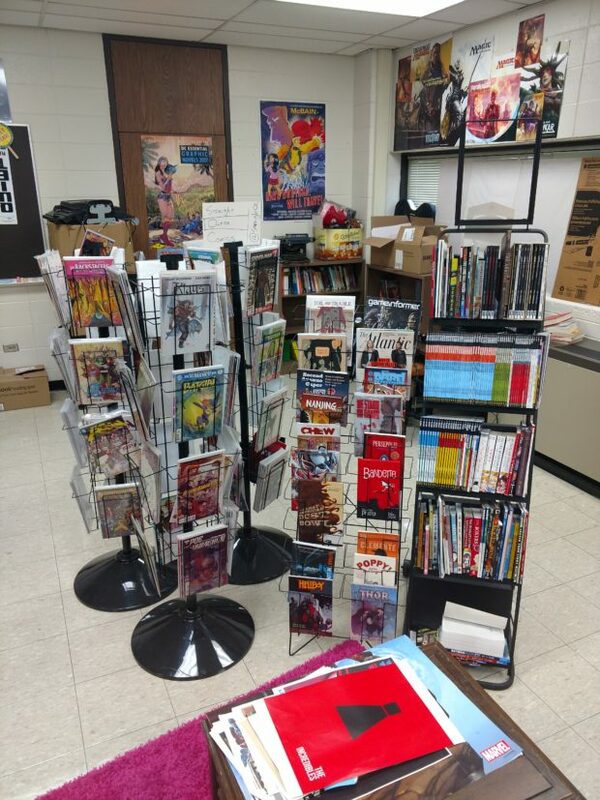 Michael Gianfrancesco and I believe in a serious classroom library with books of all types. “I really rely on the ability to grab books that illustrate my points,” Michael says, “I also like to loan out books on the fly to kids who I know will appreciate them.” I completely agree with Michael, and I make allies by handing out just the right book…all the time! For sure. Yes to all of this, Ronell! I love blasting all sorts of music between passing periods. I’d add, get a dope speaker. If it’s too loud, you’re too old, mostly. I do enjoy kids dancing down the hall to my beats. It’s fun! 5.) 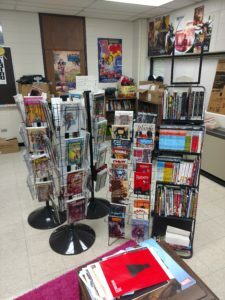 Anne Truffa, English teacher at Oak Lawn Community High School, has only been in the classroom for a few years, but she has a couple killer ideas: games and something for you. Games are a must! And you must find the games that work for your discipline and you classes. Anne and I agree on games like Who Would Win? and Story Cubes. I’d also like to add cool trivia games that work well for groups: Mr. Lister’s Quiz Shootout always works for me, and once you get how Mr. Lister works, you can adapt it for whatever you teach. I hope you enjoyed these five essentials from my teacher peeps! Next Sunday, I’ll have five more for you. This is fun.